Choose from some of our most popular pieces to make a quick purchase here. If it is to be sent overseas, let us send it on your behalf then you will not need to pay GST. Selected pieces from our wall art and homeware, tableware, New Zealand Nature or Designer collections. Free gift wrap and a personalised note available on request. You can download a Colour Sheet June 2016 or email us (enquiry@steinerceramics.co.nz) to receive a pdf order form price list. Demand for hand made and customised tableware pieces is growing in popularity. 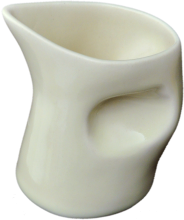 This squeeze jug may be purchased in a wide range of colours and teamed with other pieces to enhance your dining experience.This cute little jug is perfect for special dressings or dessert sauces. It holds 100mls. The Kowhai is a symbol of Hospice NZ. 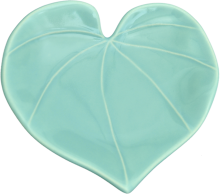 The Kawakawa Heart leaf celebrates love. A small evergreen shrub-like tree with large shiny heart-shaped leaves. 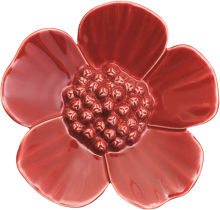 It can be teamed up with the medium Ribbonwood Flower (WFRIBM) to create a delightful composition. Demand for hand made and customised tableware pieces is growing in popularity. This freehand bowl, may be purchased in a wide range of colours and teamed with other pieces to enhance the dining experience. 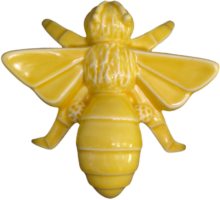 This sweet little honey bee is a great idea to raise bee population awareness, it is one of the reasons Bob wanted to do the bee. 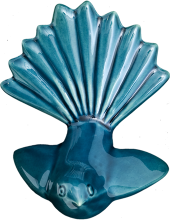 The New Zealand native Fantail (Piwakawaka) is a popular choice gift for New Zealanders in New Zealand and overseas. Sitting on a table or as wall art this fantail looks good alone or grouped with a few. Suitable for outdoor wall art or indoor. 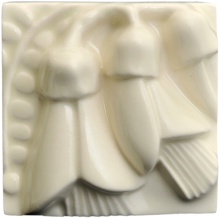 A gift from the garden, this ceramic wall art for inside or outdoors, a wall sculpture or for a table, this beautiful ceramic flower is an interpretation of the native Ribbonwood flower – in nature it measures on 1 cm. This flower has all the power to conjour the romance of the Pacific. flower that inspires songs and art with beautiful women on sandy beaches. The Honey Bee is causing quite a buzz. There are small and large available. 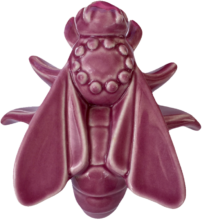 A great idea to raise bee population awareness, it is one of the reasons Bob wanted to do the bee. Featured in Canvas Magazine, the sculptural Rumple ceramic bowl is reminiscent of flower forms. Functional in form it may be used for all types of food service and/or sit as a statement piece of beauty to adorn the home. Creating ambience over winter with this stunning cuba light (electric). Available in a wide range of colours for use in all sorts of settings – Lounge, Bedroom, Dining. This cool lamp base, add your favourite shade and have a personalised light.